This beautiful, small holiday home with bright but pleasant interiors is located on an enclosed scenic property. This house is ideal for a holiday with your dog. This beautiful, small holiday home with bright but pleasant interiors is located on an enclosed scenic property. 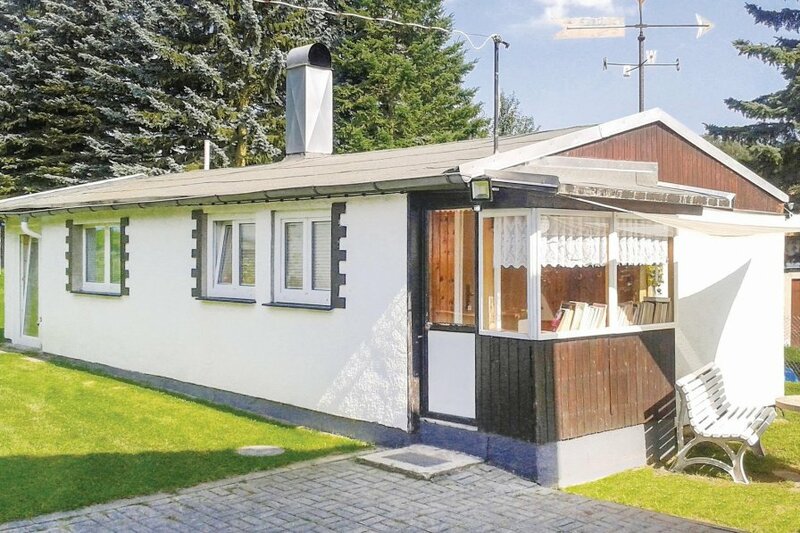 This house is ideal for a holiday with your dog. A playhouse with a cosy corner in the garden is available for seating. This house is made from brick or stone and was originally built in 1970 and refurbished in 2013. The agent has rated it as a three star property so it is a well-kept house, equipped with standard furniture. It is also good value for money. The houseIt is located in Werda, only 7km from Oelsnitz. It is set in a good location, 7km away from the skiing sport facility: there is a restaurant 8km away. The house has free wireless internet. You can also park on-site at no extra charge. The house is well equipped: it has a refrigerator, microwave, dishwasher and extra refrigerator. It also has a barbecue and some garden furniture outside.